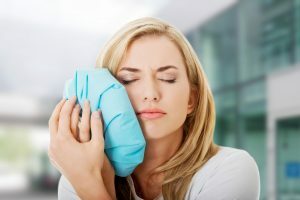 Having a tooth pulled can be a very nerve-wracking experience, but if it’s the best option for your oral health, it’s usually the best idea to go through with it. At Great American Smiles in Austin, we can provide gentle tooth extractions to remove damaged or infected teeth, and keep the decay from further affecting your smile. If a filling, a crown, or a veneer isn’t a viable option, an extraction may be only the only way to keep your smile bright and healthy. e the way to go, and removing teeth may be necessary to make room for the new dental appliance. If you have teeth that are infected and can’t be fixed with fillings or veneers, extraction is usually the best option. Once we’re ready to begin, we’ll make sure you’re as comfortable as possible, and that the extraction area is properly numbed. For simple extractions, a local injection of anesthesia usually suffices to reduce any pain or discomfort you may feel during the procedure. If a tooth is broken or impacted, a surgical extraction may be necessary. We’ll discuss all of your options before we remove the affected tooth or teeth. If you are experiencing oral pain, or you have certain teeth that need to be extracted to make room for dentures, implants, or other dental appliances, contact Great American Smiles today. We can provide experienced dental care whenever you need it.